Do you suffer from chronic headaches or migraines? Shiri Sarfati offers some natural, non-drug treatments so you can find relief. Migraine is a disease that can often be debilitating. Migraines affect women, men and even children. In fact, one in every 10 people suffers from migraine and three times as many women as men suffer from migraine in adulthood. Many people are surprised to learn that about 10 percent of school-age children suffer from migraine as well! Half of all migraine sufferers have their first attack before the age of 12. Children who suffer are absent from school twice as often as children without migraine. For more FAQs on migraine, I encourage all moms to visit The Migraine Research Foundation (MRF) website. I am proud that my company, Repêchage, teamed up with MRF in conjunction with top salons and spas across the country throughout the month of June to raise awareness on this debilitating disease. The founder of MRF, Cathy Glaser, started the foundation because not only did she and her husband suffer from migraine, but so did their daughter. When their daughter started getting chronic migraines, with no organization to turn to, they decided to start their own. Cathy's story is incredibly inspiring. Massage is a powerful healing agent. 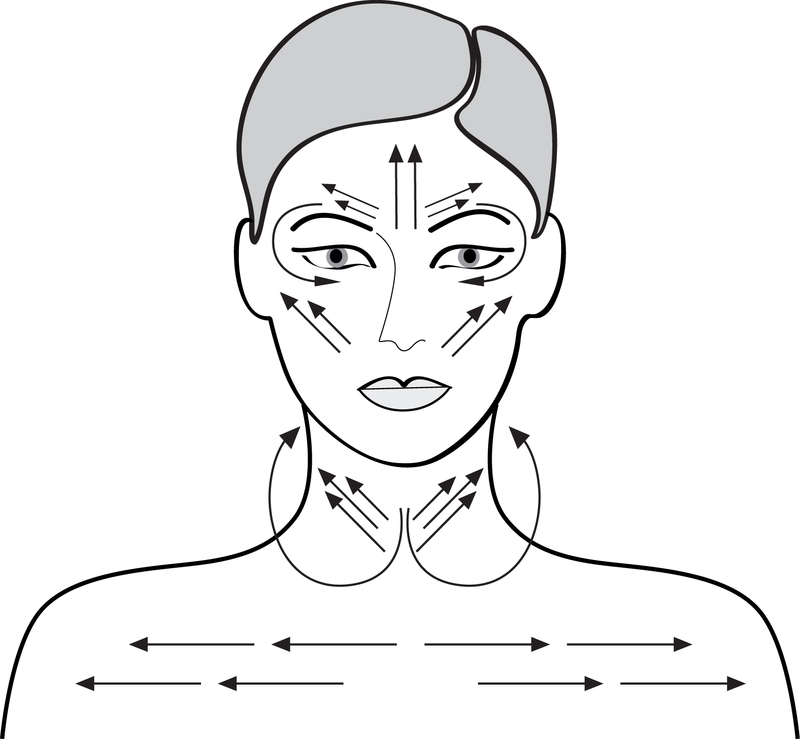 Try using pressure point massage around key areas of your face and scalp (see diagram). Apply a few drops of peppermint oil to a washcloth or fingertips and breathe in the aroma. Meditate for 15-20 minutes daily. In a dimly lit room, take the time to reflect on your breath and remove any thoughts from your head. Sleep with an eye mask. This added face pillow will help keep your face muscles relaxed and give you a better night's rest. Drink plenty of water and limit alcohol and caffeine. Editor's Note^ Please always seek medical advice from your health care provider when deciding on a course of treatment.